Studies show that common objects we touch each day can harbor millions of bacteria per square inch. Gross! But don't panic, we've got you covered! Our best selling custom label sanitizers are on sale for 15% off the end-column price through 2/28/18. Using our promotional sanitizers can reduce bacteria on your skin by up to 99.9%. This is a giveaway everyone will be thankful to receive and use. 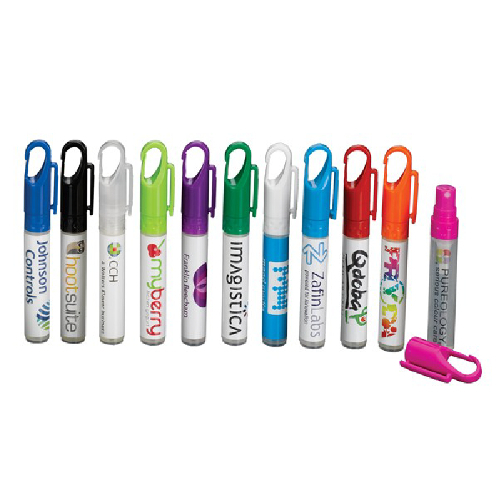 Order your discounted promotional sanitizers today!